From the BBC, via Kazakhstan (! ), comes an article on how drinking green tea can improve your memory. From MSN comes a list of 72 tips for guys on surviving and thriving in fatherhood. Liberal amounts of humor are injected, but for the most part the advice is dead-on. 38. Children's hobbies to nip quickly in the bud: drums, archery, matchbook collecting. 39. Beware your child's uncles, who will teach your kid dirty words, introduce him to liquor, and give him gifts of drums, archery sets, and possibly matches. 40. It is, of course, your natural right to exert the above negative influences on your siblings' offspring. To play cow-pie bingo, all you need is a cow, a field marked with grid lines, and cash to bet. A lot of us make New Year's resolutions, and a lot of those resolutions involve doing something healthy for ourselves. Well, if that's the kind of resolution you had in mind, then I have just the ticket: drinking green tea. Green tea is a New Year's resolution that is not only healthy, but unlike so many other resolutions, it's easy to keep: Each day, simply brew up some Mellow Monk green tea, kick back, relax, and enjoy the warm, tasty beverage. Make it the centerpiece of daily tea breaks. Do that each day, and you've already gone a long way to adopting a healthy, low-stress lifestyle. Green tea—easy to brew, good for you, and an easy-to-keep New Year's resolution. The Coca-Cola Company is claiming that its new drink Enviga, whose main ingredients are green tea and caffeine, contains negative calories—by increasing your metabolism, it burns more calories than the drink itself contains. The effects of the green tea drinks go beyond those of caffeine-laden zero-calorie sodas, the manufacturers of Celsius and Enviga say. An antioxidant found in green tea - epigallo catechin gallate, or EGCG - significantly increases metabolism, they say. This, in turn, boosts the body's ability to burn fat. If that's the case, you may as well just drink a lot of green tea, which will boost your metabolism and give you all of the other benefits of green tea but without all of the other chemicals found in bottled drinks like Enviga. As Japan's elderly become a larger and larger portion of the nation's total population, the labor shortage at elder-care facilities threatens to reach a crisis. One response the country is taking is the development of robot technology designed to assist care givers. 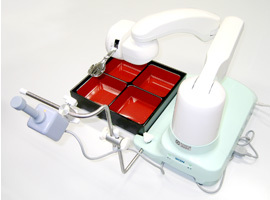 The latest such technology is a spoon-feeding robot. A study published in the Journal of Nutrition found that green tea can help prevent and mitigate arthritis by reducing inflammation and slowing cartilage breakdown. 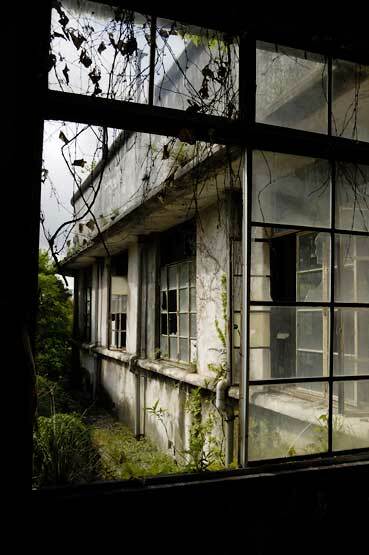 Here is a collection of photographs of "urban ruins" in Japan—abandoned hotels, apartment buildings, amusement parks, and whatnot. Apparently, there are quite a few "fans" of abandoned structures out there. Reminds me of one of those end-of-the-world movies. Mitsutaka Uchikoshi disappeared after going to an outdoor barbecue in Japan's Rokko mountains. More than 3 weeks later he was found unconscious, having survived without food or water in what doctors are calling a hibernation-like state. One stress-busting tip offered by health guru Dr. Andrew Weil is to try a one-day news fast. Take a break from murder, mayhem, and celebrities—read this blog instead! Japanese researchers have filmed a giant squid alive possibly for the first time ever. This specimen is actually a juvenile—small by giant-squid standards. Tea polyphenols—which green tea has in the greatest abundance—may suppress the growth of harmful bacteria in the human gut, but not the growth of "friendly" bacteria, says a new study. Here is an interesting article about how Japan's samurai were raised from birth to be proud, fierce warriors. Railway operators in Japan are giving pregnant riders badges that say "I'm pregnant", hoping that this will make other riders more likely to give up their seats to expectant mothers. There are several factors at work here. One is that pregnant women in Japan are harder to spot nowadays because unlike in the not-too-distant pass, they don't always start wearing baggy maternity outfits the minute they find they're pregnant. Another factor is the belief that young people today are simply less willing to give up their seats for anyone, but an "I'm pregnant" pin would make the wearer harder to ignore, the logic goes. Then there's the dietary reality that some Japanese are, ahem, heftier today than in the past thanks to the influx of western-style fast food and whatnot. How's a subway rider to know for sure that a large-bellied woman is really pregnant? A false positive in such situations is highly embarrassing, after all. Then there's Japan's nation-wide hand-wringing over falling fertility rates. Fewer babies today means fewer workers to pay taxes 30 years from now, and the government is trying all sorts of measures to encourage couples to have more kids. Who knows—for a few women out there debating whether to have a child, improved chances of getting a seat on the train may be a deciding factor. "Baby on board" is the rough translation. Tornados are a meteorological rarity in Japan, but last month, Japan's deadliest tornado on record killed nine people in Hokkaido. A picture of the tornado that tore through the town of Saroma, Hokkaido, on November 7. Forget about expensive ointments and creams: A study presented to the American Academy of Dermatologists has found that ordinary green tea applied directly to the skin works as well as benzoyl peroxide in controlling acne. A Korean team of researchers has shown that a tea's concentrations of antioxidants and a host of other desirable chemicals are higher when roasting is done with far-infraread heat lamps instead of using a conventional oven. The article incorrectly states that "[l]eaves that will become green tea are first roasted to inactivate their enzymes." Actually, green tea is steamed first; roasting is the second step. Another point requiring clarification: The number-one factor in preserving the antioxidant content of green tea is processing the tea leaves as quickly as possible after harvest. Harvested leaves must be steamed right away to inactivate enzymes (which would otherwise destroy the catechins and other antioxidants) and stop oxidation. Small-farm green tea like Mellow Monk's is harvested in small batches. Growers harvest only as much as they can steam right away. In contrast, the massive farms that produce what's in your typical mass-market tea harvest tea in large amounts. The sheer weight of the tea alone generates heat inside the pile that speeds up enzyme activity. That, plus the time delays involved in large-scale tea farming, make for lower contents of catechins. To summarize: The trick to assuring your green tea has lots of catechins is to buy the good stuff—like Mellow Monk Green Tea. Japanese sake is enjoying increasing popularity outside of Japan, but in the beverage's mother country, brewers are having to fight for market share against the incursions of beer, wine, and other spirits. Only five bottles of this special sake are allowed to be exported each year. Some hints for having a green tea party. Thrower of the gyroball (a.k.a. "ghost pitch"), Daisuke Matsuzaka has signed with the Boston Red Sox. "$52 million? Well, I think I'm worth it." As the film shows later on in super-duper slow motion, the first few rounds are actually sliced in half by the sword's sharp, tough edge. The movie is in Japanese with no English subtitles, but it's pretty self-explanatory. The boss pulls you in one direction while your holiday to-do list pulls you in another. What's a dedicated employee to do? This article offers a few hints. For those of you for whom even the firmest mattress isn't firm enough, you may want to try out a tatami bed. How to make green tea popcorn with matcha (powdered green tea). This could easily be Mellow Monk green tea popcorn. Nadine Taylor, dietitian and author of Green Tea, an excellent little book that summarizes everything you need to know about green tea, has started the website called Green Tea Library. It's chock full of information about the benefits of green tea, including links to studies published online. This very funny (but in a subtle way) video about all the etiquette one needs to know when dining at a traditional Japanese sushiya (sushi restaurant). I posted this a year ago, but not only is it still funny, but last year's link is broken anyway, so here you are again. The film's in Japanese with English subtitles. The film pokes fun at real customs, but some of the elements are just flat-out untrue, such as the part about wearing the sushi geta on your feet. 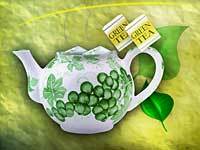 In this study, a group of University of Southern California medical researchers who had previously "provided the first set of human evidence that breast cancer risk is significantly inversely associated with tea intake, largely confined to intake of green tea," investigated one possible reason for the lower incidence of breast cancer among green tea drinkers: estrogen levels in the blood. A recent study verifies that women who eat slowly tend to lose weight. I'm looking for webmasters who'd like to become Mellow Monk affiliates. If you're interested, please drop me a line (affiliates at mellowmonk dot com). Here is the story of a woman who experienced relief from stress and pain with yoga. After knee-replacement surgery, she switched to restorative yoga and got good results with that, too. Fitness exports report that a major reason people put off going to the gym is embarrassment. It had to happen eventually: Someone has opened a Japanese-style maid cafe in North America (Toronto, to be exact). Nestle makes a green tea-flavored Kit-Kat bar for the Japanese market. Akio Jissoji, known for directing episodes of "Ultraman" and "Ultra Seven" in the 1960s, has died. Regular consumption of the antioxidant-rich green tea could reduce blood lipid levels and cut the risk of developing heart disease, suggests a small trial from Portugal. In Japan, kurozu (black vinegar) is becoming so popular among health-conscious folks that a vinegar bar has opened up in the Shimbashi subway station in Tokyo. Here is a detailed page on the health benefits of vinegar. John, Paul, George, and Ringo stayed in the presidential suite of the Tokyo Hilton during their 1966 concert tour of Japan. This summer, to capitalize on the 40th anniversary of the Fab Four's only visit to Japan, the Capitol Tokyu Hotel (as it was later renamed) restored the suite to the way it looked back in '66. But this past Wednesday was the last day of operation for the 43-year-old hotel, which is slated to be torn down to make way for a 29-story building complex. Here is a page of pictures and information about The Beatles' 1966 Japan tour. With the wrecking ball on its way, you can almost hear the old hotel crying "Help!" ...if you want to preserve your tea's antioxidant properties, that is. A study done in Italy found that when mixed with cow's milk, both green and black tea completely lost their antioxidant effects inside the body. The researchers theorize that this destruction of antioxidant properties is from the proteins in the milk binding to the tea's polyphenols. Incidentally, it was also found that green tea is six times as potent as black tea when it comes to disease-fighting antioxidant effects. Ryuichi Sakamoto, called the first Japanese musician to achieve international fame (if you're not counting Kitaro , that is), is known for the soundtrack to the 1987 film The Last Emperor. Now he's making news again in Japan because of a messy divorce from actress Akiko Yano. Physical therapists in Sweden claim that acupuncture, exercise, and other non-drug therapies can be used to successfuly treat chronic tension headaches. It's really not as painful as it looks. Two vice-ministers of Japan's Ministry of Health have publicly pledged to lose about 10 pounds and will even blog about their slimming efforts. A study published in the journal BMC Medicine has concluded that compounds found in abundance in green tea "work as an effective treatment for patients who suffer from damaged skin following radiation treatment for cancer." Just in time for Saturday night: Charbay, a "family winery and micro-distillery," has released a green tea vodka. You can read a review (and get a cocktail recipe) here. If anyone tries it, please let me know what you think.